This pattern similar as the technique of entrelac interlocking strips, as in basket. I’ve already shown how to crochet square colorful motif, but lately a pattern strongly gaining popularity among crocheters and I decided to make a new Tutorial in one color. 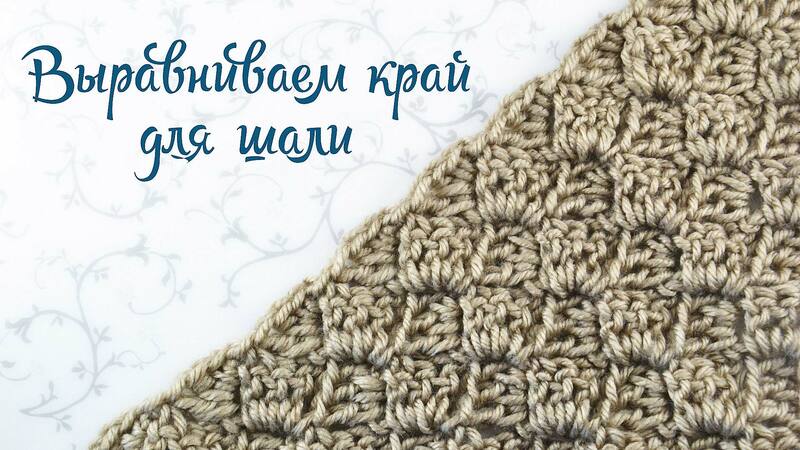 In the lesson, I propose you learn to work squares, as well as how to crochet shawl and as you align the edge. You can do and rectangular fabric. To do this, work a triangle, and then do the same number of blocks in each row. When the fabric reaches the desired size-working 1 less blocks on each row, as when working square. Chart for shawl in the Corner to Corner technique. With the great pleasure to invite two more options with diagrams, how to crochet a entrelac pattern. Enjoy your crocheting! Share your impressions and your photos of finished works!